The US-facing Winning Poker Network site began its video coverage from the Dominican Republic last week following a number of online poker players that had won their seats into the $1,650 buy-in Punta Cana Poker Classic 2016 main event via its promotions. 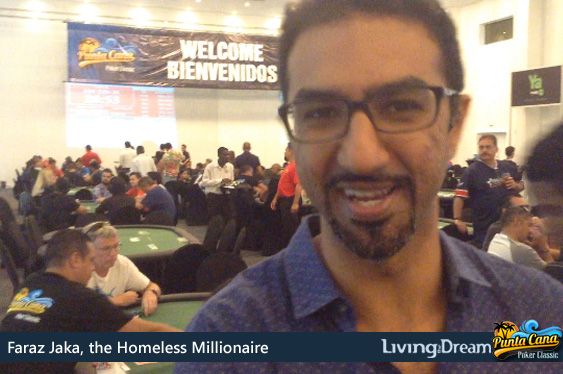 In the fourth episode, which is entitled Faraz Jaka On The Downside Of The Poker Lifestyle, the 31-year-old American relates how he is constantly travelling the world from tournament to tournament and gave up his home to live with just the essentials out of a suitcase. “I’ve just been playing all week,” Jaka told the ever-ebullient host of the video series, Larry Colcy. The winner of last year’s Punta Cana Poker Classic main event pocketed over $185,000 of the $500,000 prize pool but Jaka revealed that he may use his time at The Level At Melia Caribe Tropical Punta Cana to get in a little shopping. “I obviously love being on the road," said California-born Jaka.